Five things you consider when choosing and SEO vendor. Everything on the internet is trackable, and Search Engine Optimization (SEO) is no exception. Some SEO vendors charge by the hour and other by deliverable, but either way, they should be able to provide you monthly reporting. Your monthly reporting should provide you with search engine page (SERP) ranking increased or decreased and a list of their monthly deliverables (activities). 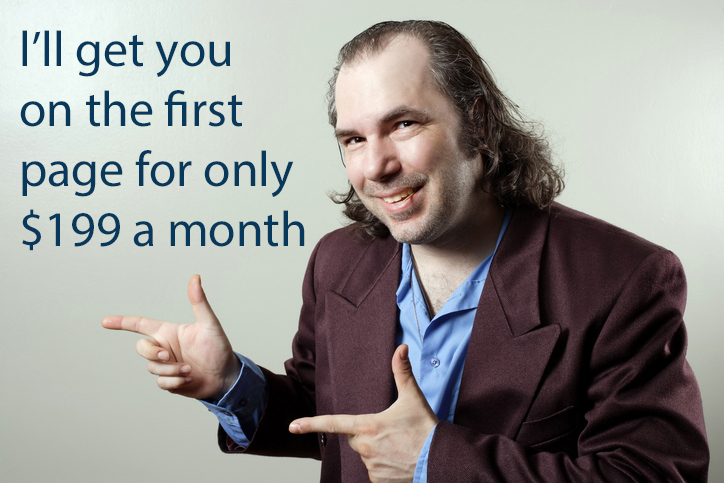 SEO isn’t a set it and forget it product, so make sure you are making progress every month. 2. Is the Search Engine Optimization vendor capable of making changes to my website? It’s very rare to run into a website that meets search engine optimization (SEO) structure best practices. Generally, we see duplicate content issues, bad redirects, and a lack of structural data. In most cases, it is important that your SEO vendor has the ability to make SEO structure and code changes to your website. If your current website vendor does not allow for someone else to make changes to your website, then your SEO vendor should be able to provide a document that outlines the changes, so your developer can implement. This requirement alone will thin crowd of SEO companies. Not many SEO companies have the knowledge and are willing to take on the responsibility of making SEO structural changes to your website. Before you sign a contract, ask for examples including deliverable examples. 3. Can the SEO vendor produce SEO content? The cornerstone of a successful search engine optimization strategy is content. In many cases, content will even outweigh bad website structure. When choosing an SEO vendor, make sure they provide you with content examples and a content calendar. Don’t forget that SEO content needs to be unique, focus on keywords with the strongest search volume, and needs to be written at a 5-6 grade reading level. If it were me, I would ask for examples. 4. Is your search engine optimization strategy unique and does the strategy focus on your competitors? Every website and the environment that website competes in online is different. It stands to reason that a strong SEO strategy would need to be unique to your website, your specific market, and business environment. How do you tell if your SEO strategy is unique? It’s simple, your SEO strategy needs to focus on outranking specific competitors within your market. Your content, tagging, and link strategy need to built to be stronger than your competitors. Preferably, competitors that are ranking on the first page of Google/Bing/Yahoo. better than your competitors. Ask the SEO vendor to present on their competitive strategy. 5. If it’s cheap, it’s probably not worth the cost. Your website needs to be seen as an employee that represents your brand and business online every hour of the day. Your website needs to be an investment. Your website needs to be prepared to answer questions, and sell your brand to every consumer who arrives on your website pages. The better your website becomes, the better it represents your business and sells your products. Consider it your best salesman. When it comes to SEO vendors, you get what you pay for. Good SEO professionals run upwards of $150+ per hour, and trust me, they are well worth the cost. Would your trust your best sales person or receptionist with a bad trainer or manager? If you are a small to medium-size business paying less than a $1000 for SEO, you’re probably throwing your money away. Ps. Avoid yellow page companies, huge corporate giants, and your brother’s cousin like the plague.